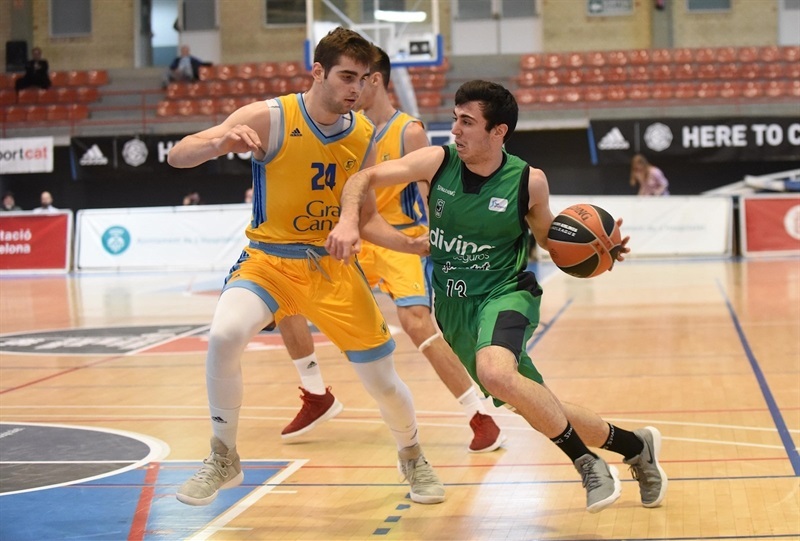 U18 Divina Seguros Joventut Badalona opened its Euroleague Basketball ADIDAS NEXT GENERATION TOURNAMENT Ciutat de L’Hospitalet with a big 84-71 victory over U18 Herbalife Gran Canaria in Group A. Joel Parra collected 17 points and 10 rebounds while Manel Signes added 15 points and 16 rebounds. Arturs Zagars was a third of six Joventut players in double figures scoring with 13 points and 8 rebounds. 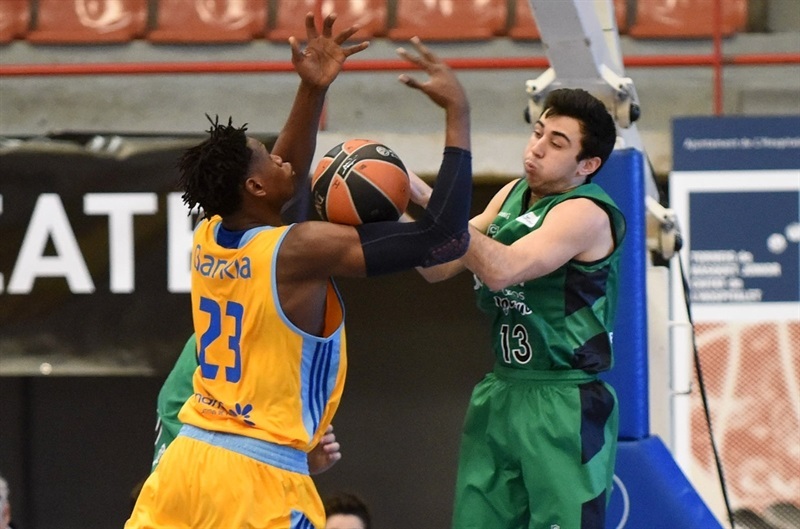 Gran Canaria got 21 points from Joven Kljajic, 17 points and 17 rebounds from Biram Faye and 15 points from Aleksander Balcerowski but the team made just 7-of-21 free throws (33 percent). Kljajic scored 7 points in helping Gran Canaria open a 4-15 lead. 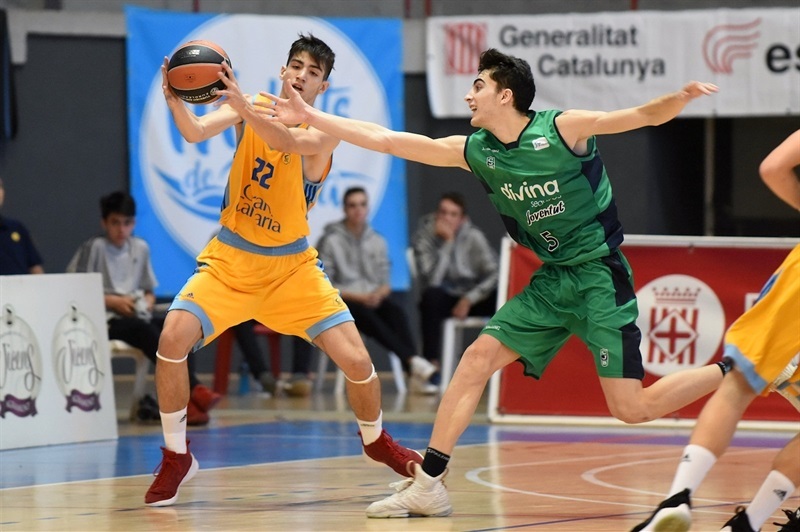 An Arnau Parrado three-pointer cut the gap to 11-17 but Kljajic hit hit second three-pointer of the quarter and Gran Canaria was up 14-22 after 10 minutes. 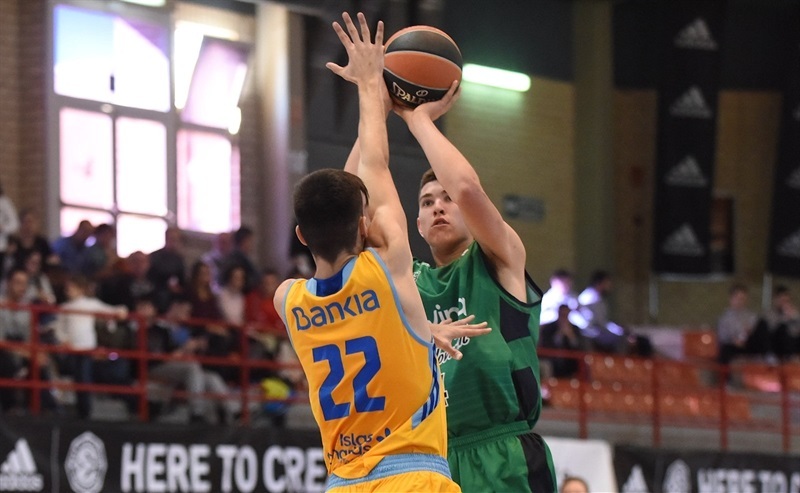 Another Kljajic long ball pushed the advantage to 18-27, but Parra, Didac Cuevas and Parrado all hit from long range in a 13-2 spurt to put Joventut up 31-29. Balcerowski and Faye carried Gran Canaria the rest of the half with 4 points each while Parra had 4 points and the game was even at 39-39 at intermission. Six straight points from Cuevas pushed Joventut ahead 47-41. Balcerowski came up at the other end with 6 points and a nice block as Gran Canaria climbed back ahead 54-55. But Joventut was up 57-55 after 30 minutes. Parra picked up 4 points and Signes knocked down a long ball and the advantage was up to 11 points - 69-58. 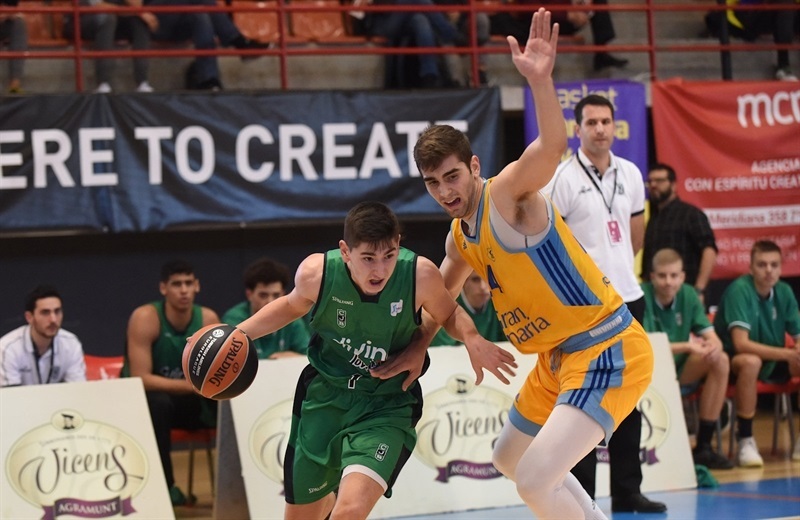 Luis Melian did answer with 6 straight points to trim the deficit to 5 points but Aleix Haro Val and Zagars both knocked down three-pointers and the lead was 79-69 with 2 minutes to play to decide the game.